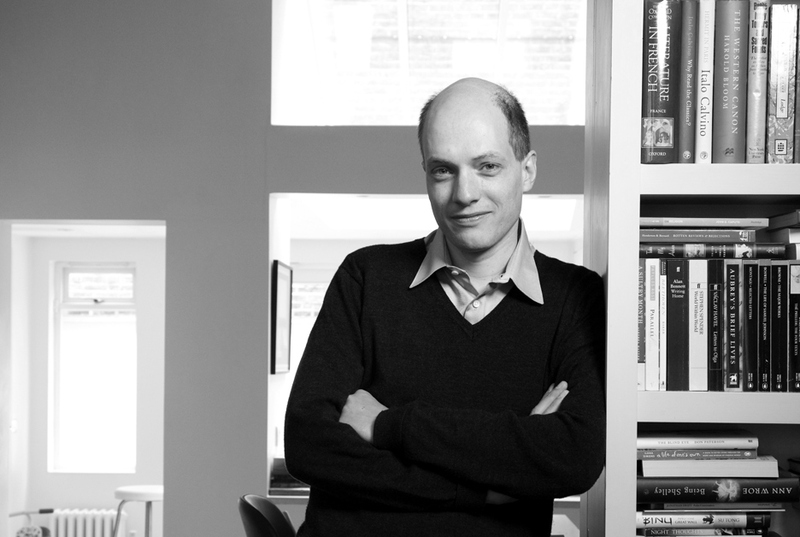 Yesterday popular philosopher Alain De Botton released his ‘Manifesto for Atheists’, a supposed ten new virtues, in response to his feeling that being virtuous had become ” a strange and depressing notion”. He says he hopes it “ignites a vital conversation around moral character to increase public interest in becoming more virtuous and connected as a society”. I’ve found De Botton’s work interesting in the past, as so was genuinely intrigued to see what virtues he’s come up with. Unfortunately (or maybe not) they’re not so much ten new virtues for atheists, as they are ten old virtues from Christianity. Ironically for an Atheist Manifesto, De Botton has chosen a cluster of virtues which are rooted in the Judeo/Christian tradition. I want to ask him from what (apparently atheistic) source does he believe these virtues originated? Are they just his handy hints? Where do they come from? Christianity understands virtues as attributes grounded in the objective goodness of God. De Botton’s list of ideal virtues for a secular society are part-and-parcel teachings of Christianity. In many cases, such as the virtue of humility (which is strangely absent from De Botton’s list) its foundation in the teaching of Jesus actually changed the tone of western civilisation (see John Dickson’s excellent book Humilitas). Unfortunately he has omitted many other Christian virtues, seemingly not as important for the modern atheist, such as humility, love, justice, grace, generosity (esp. to the poor), faithfulness, or servanthood. Of course my point is not that an atheist is not capable of these virtues, just that they have not arisen out of secular, atheistic history. They did not appear in thin air. I completely agree with his list – it’s just neither complete, nor his. A further point to ask De Botton is: without a belief in absolute truth, on what objective ethical basis does he ground these particular virtues? Reading through his list, its amazing how easily verses from the Bible, penned a lazy couple of millennia before De Botton was born, jump to mind. Of course a single example verse does no justice at all to the overwhelming presence of the virtues unfolded throughout the New Testament. It is the Christian faith that has so influenced our history, as to present De Botton with such a glorious plethora of choices today. Of course it must be said that at the core of Christianity itself is the truth that we are ultimately unable to ‘save’ ourselves at all. The truth is that only God can save, and our working or trying to be virtuous ultimately falls short. We are invited to place our trust in God, whose own virtue – love, grace and forgiveness – enables change within us, the beginning of a virtuous life. Virtue then becomes a free response to God’s grace, rather than just another rulebook, however modern. Matthew 6: 25 – 34 “Therefore I tell you, do not be anxious about your life, what you will eat or what you will drink, nor about your body, what you will put on. Is not life more than food, and the body more than clothing? Look at the birds of the air: they neither sow nor reap nor gather into barns, and yet your heavenly Father feeds them. Are you not of more value than they? Interesting. I didn’t read Alain’s writing on this closely, but I never got the sense that he was claiming they were particularly “new”, or “his” … I similarly didn’t get the sense that he would dispute their Judeo/Christian origin. In fact, if I were to hazard I guess, I’d expect that his answer to “Where do they come from?” would be something along the lines of their being the product of several millennia of reflection, community formation, scholarly discussion/argument, etc etc in the context of the religious traditions, and therefore the obvious (and probably best) starting point from which to continue the same process. Related to this is a response to your other line of questioning about absolute truth. Unfortunately I’m not knowledgable enough about de Botton to know whether he believes in absolute truth, but I would be very wary of assuming that he doesn’t. Believing that objective truth is unknowable (fairly confident this is de Botton’s position) and believing that it exists are perfectly compatible. So just because you don’t believe moral truth comes from God doesn’t necessarily mean you should discard religious attempts to expose an objective truth you believe in. There’s also potentially issues with exactly what we mean by “objective truth” with regard to context, but I’ve already written too much, so I’ll leave that aside. I have to admit to being a bit confused about what you would like the relationship between atheists and the churches (let’s limit it to that for now) to look like, given that a couple of weeks ago you were pointing to (if I recall correctly) an article suggesting that there are those within the church who would be better described as atheists and that we should sharpen that boundary. Yet when an atheist (de Botton) essentially agrees with that notion by making an attempt to carry on his church-like activities outside of the church (since he is after all an atheist), your response is to virtually suggest it somehow counts less simply because it’s nothing that doesn’t get said in church. Not sure I’ve explained it well, but do you see my confusion? Thanks Tim! Especially for the Humilitas link, I’ll be grabbing that asap. Hi Iain, thanks for commenting. De Botton’s silence on the matter of their origin is one of my main points, in that in gathering ten arbitrarily chosen virtues rooted in a faith tradition and presenting them as a glossy manifesto for the modern age, specifically for atheists, seems to be somewhat disingenuous. My point about absolute truth is a longer conversation which I merely note but don’t expand. Essentially, because De Botton subtitles his manifesto ’10 Ways to be Good’ I think it’s fair to ask what he means by ‘good’, and by what measurement shall it be defined? Being ‘good’ is merely a subject meaningless term unless it can be contrasted to ‘evil’ by some measurement. I’d like to hear what he ultimately means by ‘good’, for unless a virtue holds some kind of connected absolute to good, it fails to be a virtue by any objective standard. I know this is sounds a rather abstract philosophical piont, but in a world which grapples with real evil, it’s a fair one, especially for a person describing himself as a philosopher and seeking to inform a “vital conversation around moral character”. I’m not quite sure how to best respond to your last paragraph because I don’t know which article to which you are referring. My general comment would be that I would hope Christian churches are places atheists feel they might always be welcome, and safe generous locations for fertile relationship and conversation, if they so wish, on matters of faith. As I note in my blog, I completely agree with De Botton’s list – it’s just neither complete, nor his. I’m thrilled he is endorsing these particular virtues, my critique is the insufficient manner in which they are co-opted as some kind of unique ‘manifesto’ rather than pointing to their foundational origins. It seems like a swifty. Please let me know if that does not answer sufficiently!